Wedding favor holders do what they say – they hold your wedding favors and come in lots of styles and themes. Some are shaped like flowers, others look like miniature chairs, you can even find some fun deckchairs for your beach wedding. You can find leaves, seashells, and heart shaped designs to match whatever theme you’ve selected for your reception. You can even match your favorite hobby, there are some really cute mini sports bags that would easily hold candy and you could then tie a mini luggage label to the bag with each guests name. This way you have your favor and place cards as one cost. 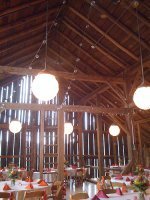 Because several different styles are available, you can use them as place holders in several ways. One idea is to hire a calligrapher to write their names on decorative sheets of paper and place in the holders. If you don’t have the budget to hire someone who has this talent, you can simply write the names yourself. You can also print them using your computer to ensure they are neat and to give you more font choices. 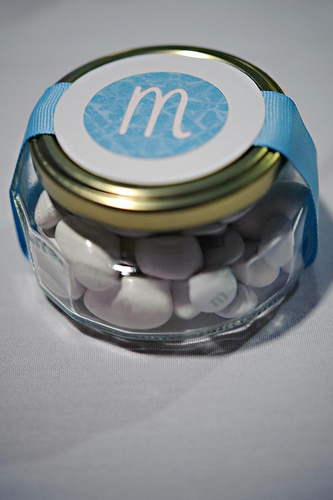 Or you could look to personalize your favors with a monogram, these you could do yourself with picmonkey and you could also use the same design on your invitations too. Some of the wedding favor holders have a place for photographs as well. For a smaller wedding, you might be able to include photos of some or all of the guests instead of traditional place cards. It’s a nice way to make them even more special. Plus, you can add other photos in some of the place holders, such as a copy of your engagement photo that they can keep, too. Wedding favor holders are also a very nice decoration for the tables, too. 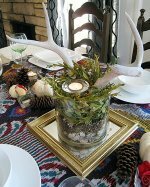 If you don’t want to have a centerpiece or if you prefer using smaller centerpieces, you can use these favors to make the table stand out a little more. If you’ve decided to use floral centerpieces, you could choose place holders that match in terms of flower type. For example, you can find favors shaped like cala lilies, roses, and other flowers. 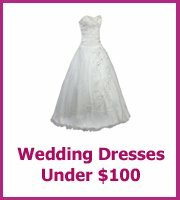 Now these might not be as popular with the male guests so you might consider something a little more gender-neutral. One idea would be something simple, such as a silver orb. These could also double as paperweights after the wedding. 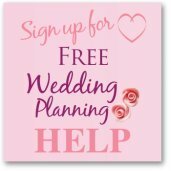 It is a good idea to purchase your wedding favor holders in bulk if you need lots, wait until you have a better idea on the numbers so you don't over order and if you find you have some holders left over you can always resell them on Ebay. Make sure you also look at alternative places for your holders, little bags and mini toys might be cheaper from a toyshop than they are a favor shop and consignment stores are stuffed with treasures that could be perfect for your wedding.